Share wide!!! 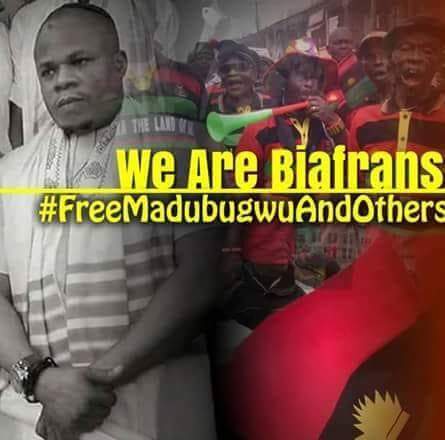 Life Of Innocent Biafran Citizen Mazi Benjamin Mmadubugwu Near To Death Seriously In Kuje Prison Right Now While Ex-NNPC Boss Andrew Yakubu N3bn Loot: Court Grants Medical Treatment Abroad. to attend the hospital of his choice which must be respected and carried out nomatter the tribe but same Nigerian Government reluctantly haven’t allowed him still, and made his lawyers irrelevant because they are Biafrans, also same goes to many unarmed innocent Biafrans being jailed both in secret and open places round Nigeria, many have gone, still dying and the adoption and ethnic cleansing of Biafrans by Hausa Fulani Herdsmen “Jihad Soldiers” in power still continues, that’s how injustice, hatred and failed state Nigeria has become.